River Forest has only a handful of kit houses. One of them is the Sears Verona, a picturesque Dutch Colonial Revival. 1100 Keystone, River Forest. This Verona has vinyl siding and replacement windows but manages to retain its original charm. 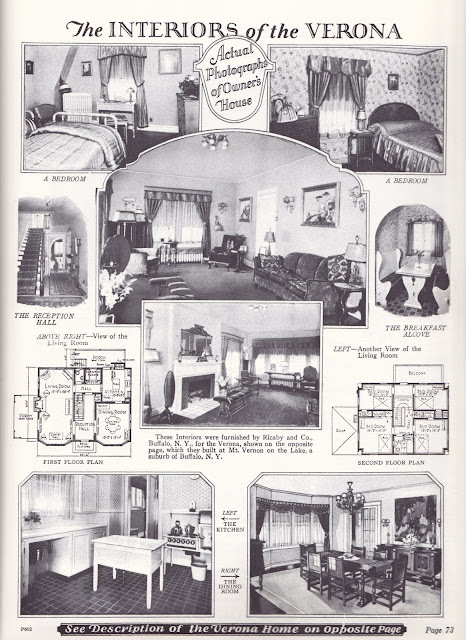 Sears Verona from the 1928 Modern Homes catalog. The Verona's floor plan is traditional, with a formal reception hall, large rooms, and bay windows. Sears said in its catalog that the Verona was "built many times in exclusive suburbs of New York, Chicago, Washington, Cleveland, Pittsburgh, Cincinnati and other large cities. This proves it is no experiment." 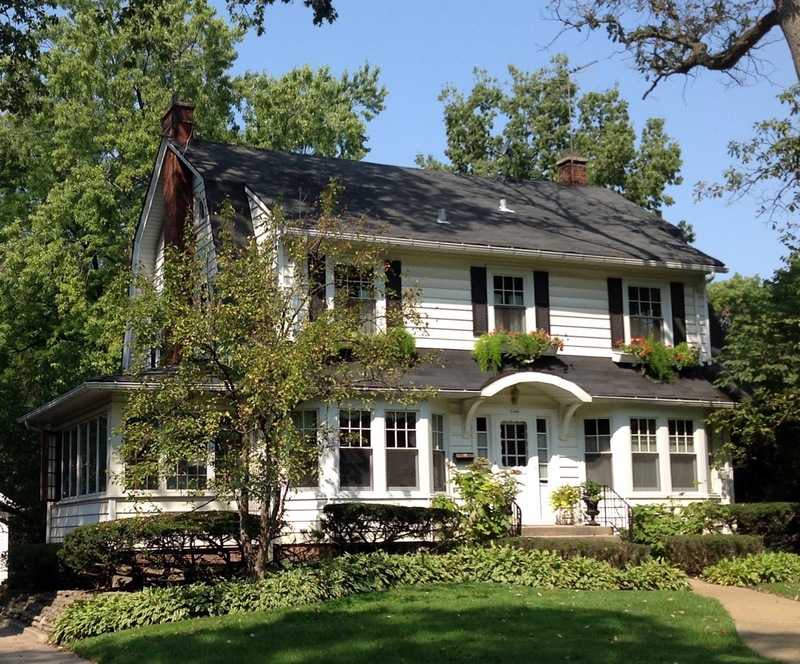 The house in River Forest was built in early 1928 for John Cummins, who lived with his sister, Ella. John owned the house until his death in October 1942. These big colonials, of every style, are just wonderful. Thanks for finding us another excellent example.